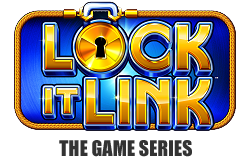 With the wave of a wand over magical top hats and an “Abracadabra,” jackpots can be won playing the latest game in the Lock It Link® series, Lock It Link – Hold Onto Your Hat™! This enchanting game showcases a Free Games Bonus where players are awarded 10 Free Games. During the Free Games, magical top hats lock frames around the reel positions they land on awarding credit prizes and jackpots. During the bonus, additional free games can be won!